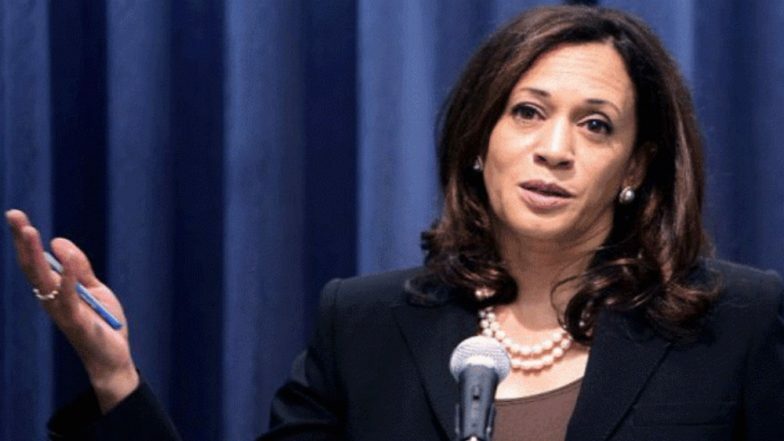 Washington, April 2: US Democratic presidential candidate Senator Kamala Harris, who is of Indian and Jamaican descent, has announced that her campaign raised $12 million in the first quarter of 2019 from more than 218,000 individual contributions. Harris, who is seeking the Democratic presidential nomination, became the second major candidate to announce her first-quarter fundraising total after South Bend, Indiana, Mayor Pete Buttigieg said he raised over $7 million in the first quarter, according to CNN. US Presidential Elections 2020: Kamala Harris Calls for Funds to Hike Teachers' Pay. "A nationwide network of hundreds of thousands of grassroots supporters has stepped up to lay the foundation for a winning campaign," Harris' campaign manager Juan Rodriguez said in a statement on Monday cited by the Hill magazine. Harris' aides said that more than 99 per cent of her current donors can contribute again without hitting the limit. Harris did not disclose how much she has spent during the first three months of the year, nor how much cash she has remaining in the bank for the long primary fight.